If you're the primary caregiver of someone with Alzheimer's disease or another dementia, you may have experienced the honor and privilege of providing care for your loved one. It's also possible, however, that the challenges of that role are overwhelming at times. Because Alzheimer's progress involves mental, emotional, and physical changes, being a caregiver can be difficult. In fact, the very nature of caring for someone on a full-time basis can lead to frustration. Although a caregiver may love the individual dearly, sometimes it's just too much for one person to handle. Frustration and even abuse by Alzheimer's caregivers can and does occur, often when someone is trying so hard to do it all and doesn't know what else to do. Take the time to stop, even for a few minutes, and evaluate how you're doing. Are you coping pretty well and balancing the different needs in your life? Or are you running on empty, ready to bottom out? Have you ever felt that if he argues with you or repeats the same question one more time, you're going to lose it? Or that you've had it up to here dealing with her, and you're at the breaking point? And how do you admit these seemingly awful feelings to anyone, when the person you're ready to lose it over is your spouse, parent, or dear friend? How Many of These Signs of Burnout Do You Have? You feel increased irritation, frustration, or anger over small things. Your gentle, unhurried approach to providing care is disappearing or gone. You raise your voice at your loved one more often lately. Later, you feel upset and guilty. You often skip aspects of your loved one's care that are important to his or her well-being because they're just too difficult. Your own mental health is declining; perhaps you're struggling with increased anxiety, depression, or insomnia. Your own physical health is declining. For example, you've had to increase your high blood pressure medication or you've injured yourself when trying to transfer your loved one into a wheelchair. Your own family is experiencing dysfunction, and your care for your loved one is harming your family. If you rarely experience these signs, you're probably doing a good job of balancing your own needs and those of your loved one with Alzheimer's. Be on the lookout for overload signs as you continue to provide excellent care. If these signs are more often the rule instead of the exception, it's time to take action. Fundamentally, your own well-being has to be a priority in order to succeed at taking care of someone else. 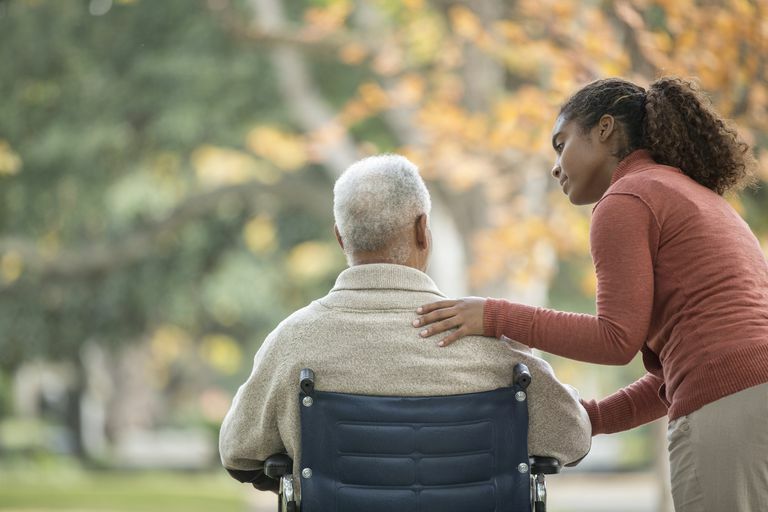 This doesn't mean that your needs always take precedence over those of your loved one; however, it does mean that you need to do some things differently or you will not be able to continue long in the role of primary caregiver. Ask for help. Perhaps there is another family member you can ask to be more involved, or maybe you can get a few volunteers from a church or another social group to take short shifts with your loved one. Consider hiring in-home help, such as companions or home health care who will provide assistance in the home. Reserve time for you. You may even need to schedule it in your calendar. Prioritize. Give yourself permission to acknowledge the challenges of being a caregiver and decide what you're going to let go in your "To Do" list. Consider joining a dementia caregivers' support group. Check with your local Alzheimer's Association or even a local facility for times and locations near you. Sometimes it just helps to hear that you're not alone. Ensure that you're still able to meet your loved one's needs well at home. For example, if he has wandered away from home more than once or if he has pressure sores on his skin because it's too difficult to physically move him or clean him well, these are clear signs that you need more support. Still feeling empty or burned out as a caregiver? You may need to think about a brief period of respite care or even placing your loved one in an assisted living or nursing home. Although this may not be your first choice (perhaps it's the option you want to avoid at all costs), others have found places that provide loving care. One way to think of your emotional and physical energy is to picture a gas tank. Your goal as a caregiver is to keep your eye on that gas tank gauge so you don't end up empty. There is such a thing as giving too much. Refuel your emotional and physical energy tank regularly, so you'll have something left to give. This will benefit both you and the person for whom you're providing care. Fisher Center For Alzheimer's Research Foundation. What is the role of the family and caregiver in Alzheimer's treatment? U.S. National Institutes of Health. National Institute on Aging. Caring for Someone With Alzheimer's.